Ron Huxley Humor: OK, I am not a fan of this kind of discipline tactics but I did find it very humorous. Youths have turned their noses up at a woodland drink and drugs den after it was spread with pig dung. iddlesbrough Council came up with the cheap but effective method of combating anti-social behaviour in woods at Coulby Newham. 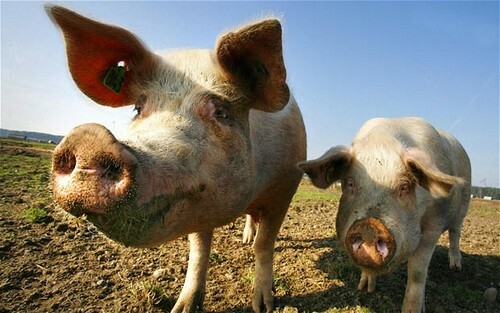 It said residents had complained about young people smoking drugs in the area and, although there is a slight smell from the pig manure, locals “would much rather have a pong than a bong”. Elderly people nearby had been upset by youngsters congregating in the woodland between Willowbank and Stainton Way to drink and smoke. Council staff thinned out the trees so the area was more visible from paths, then spread a thick layer of pig manure to deter the youngsters. Next Next post: Are You A Non-Forgiver?